Rumor’s Roaring That Paraclete HS Adding More Talent Next Year!!! Based strictly on rumors from a number of sources but generally from long standing SoCalHoops, looks like Paraclete High School in the Antelope Valley, is getting some real talent from local players who transferred out of the Antelope Valley and are are “now returning home.” These young men transferred to high schools out of the Antelope Valley and like so many AV commuters, they just got tired of the commute every morning and every night. “The grass isn’t always greener on the other side.” These young men could certainly make Paraclete better next year. With its new second year head coach, Newton Chelette, it looks like Paraclete might just be very competitive in the monster Gold Coast League next year. Chelette who retired from Antelope Valley College is a college level head coach; D-1, JUCO Hall of Fame seems to be enjoying his new challenge in bringing Paraclete HS to the top the beast of a conference the Gold Coast League. 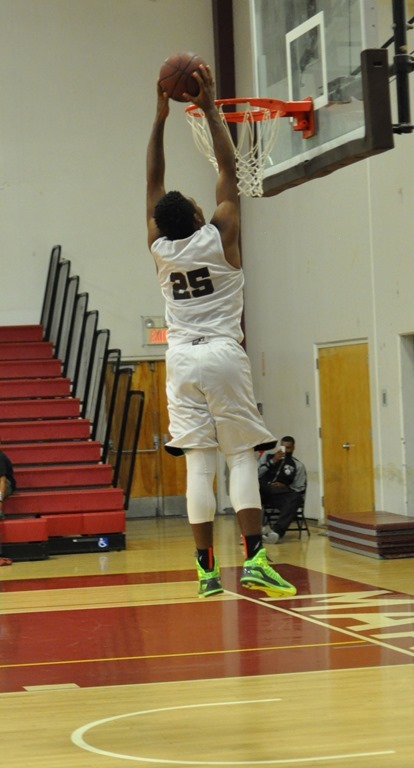 The Gold Coast League is a high school athletic conference affiliated with the CIF Southern Section. 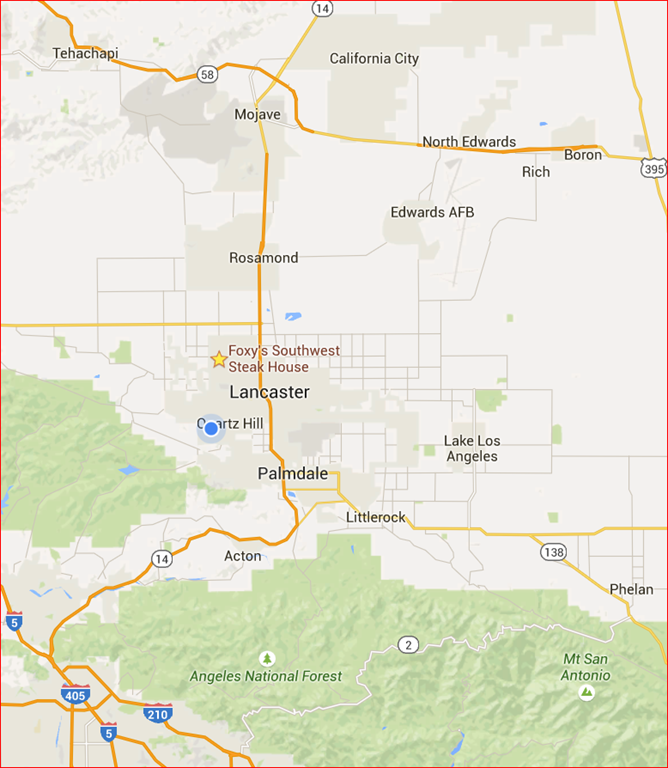 Its members are all independent schools located from west Los Angeles to the high desert of Los Angeles County, California. Here is some information about Paraclete HS from SoCalHoops. Remember, always take info from this site with a grain of salt. 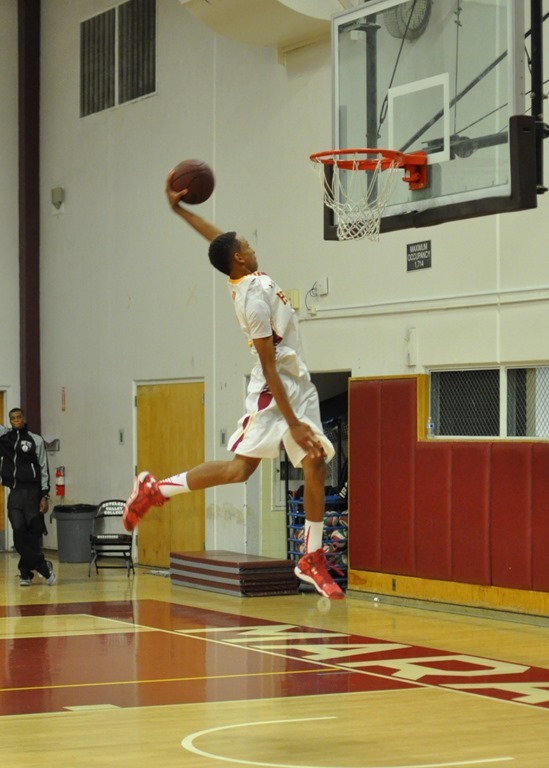 : : : : Paraclete lost to Brentwood by 40 and decided that enough is enough. They took Jack Pollon’s favorite players from the meth labs of Heritage and Village Christian. Jonathan Daniels and Elijah Scranton. Paraclete might be interesting to watch next year. : : : Jonathan & Elijah are cousins. Elijah should’ve went to Heritage from the start. Paraclete is going to compete next year. : Those that can’t coach….Recruit! Not in all cases. Paraclete got kids that should work good with each other. They upgraded at the guard & forward spots. Idk if they can play as seniors but they’ll be good next year. Idk if Elijah’s a sf tho. He looked like a athletic power with Magic last year. All of Paraclete’s players except one senior from last year could be coming back as well. 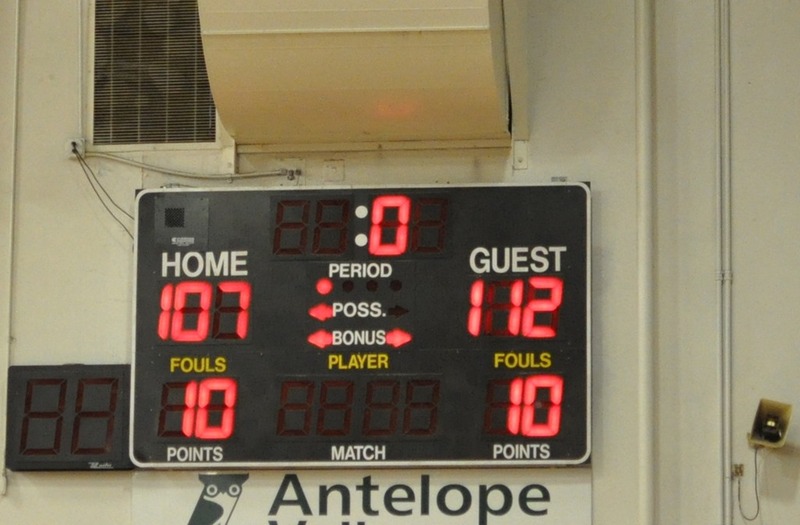 With the South team(North San Fernando Valley) pulling out a win over the North team(Antelope Valley) with free throws in the last 90 seconds, in front of an enthusiastic crowd, the game was a big success. College coaches were in the stands looking for talent for their team. 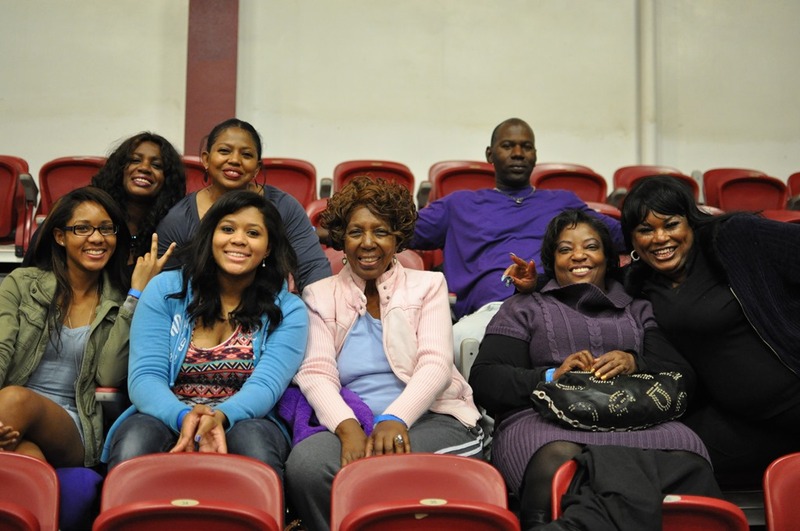 Families were cheering on their favorites and the play on the floor was intense. The MVP for the game and the south squad was Isaiah Ajiboye, Fairfax High School who put in 33 points for all over the floor. 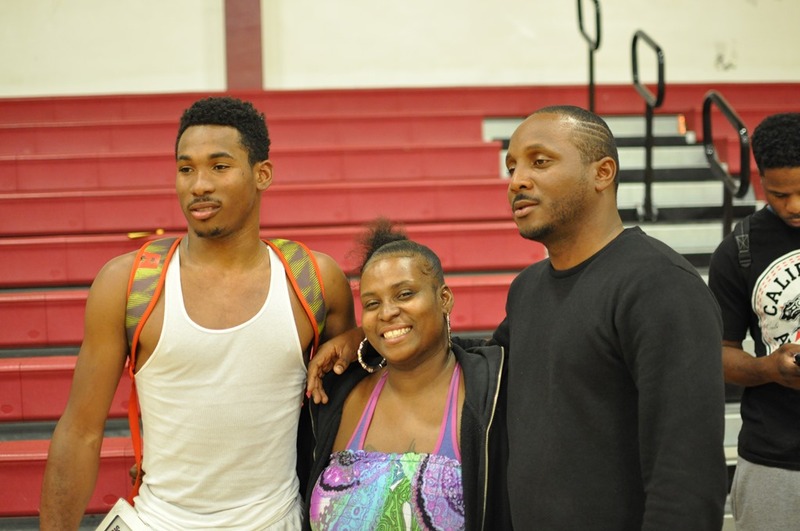 Jefferey Mc Clendon from East High School was the north squad MVP and slam dunk contest winner. Mc Clendon is heading for D-1 Loyola Marymount University. Chris Daniels and Jefferey Mc Clendon show off their basketball dunking skills. 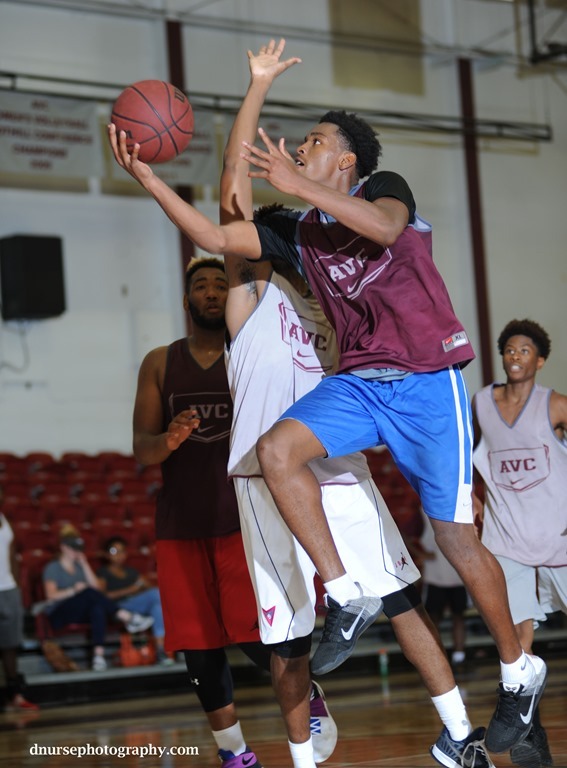 The men’s basketball teams, the South( Northern San Fernando Valley) and the North(Antelope Valley) were as closely matched as two teams could be. They battled all the way to the end when the South team won by shooting free throws in the last 90 seconds. Was this a serious game? You bet, even technical foul on one of the coaches! It’s a Sunday in the Antelope Valley and at 4 p.m., the second annual Battle of the 14 Freeway will begin. The high schools in the northern San Fernando Valley at the bottom of the 14 freeway will send their men’s HS All-stars up to Antelope Valley. 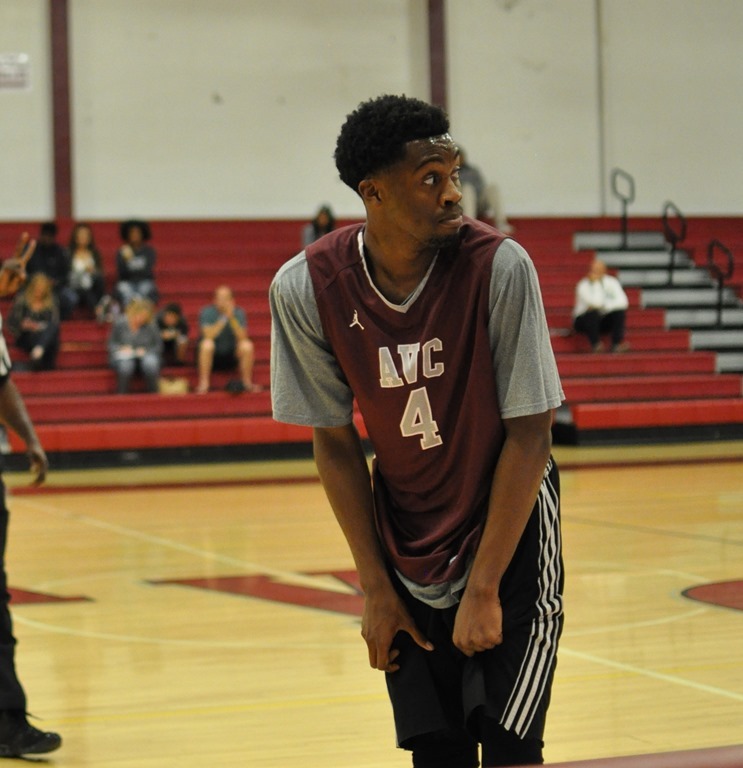 They will be taking on the All-Stars from four High school conferences in the vast geography of the Antelope Valley. 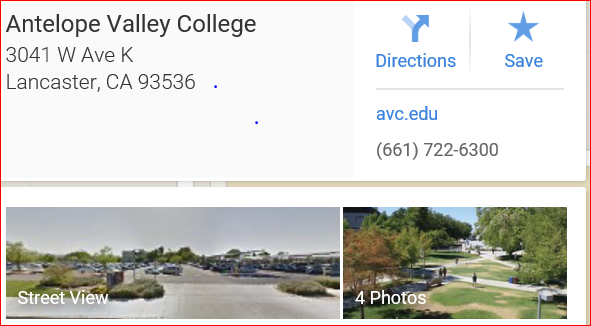 The game will be played at Antelope Valley College. Some years, the competition between these two geographic area’s can get pretty intense as it is known that “poaching” occurs among these area’s HS’s. If you need your fix of HS basketball, minus team defense, great weather up here today in the Antelope Valley today Come on up the 14 freeway.